Why is Energy Efficiency so Important?Global Energy & Lighting Why is Energy Efficiency so Important? Energy efficiency is the rational use of energy resources. The world is becoming more populated and so we must change the use of energy resources. As cities grow, and the more energy people use, greenhouse emissions become more harmful not only for the environment, but also for the ecology of the planet as a whole. This also has a huge effect on the economic climate, effecting nearly every industry in every country around the entire planet. The scale of world-wide investments in energy efficiency and savings today is significant. Being a country with a solid and effective energy efficiency program is not just a trendy plan, but a necessity. 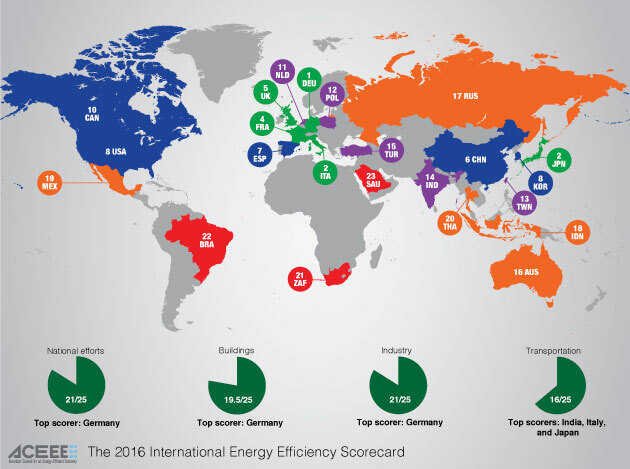 The list of the energy efficient countries include Australia, Brazil, Canada, China, France, Germany, India, Indonesia, Italy, Japan, Mexico, Netherlands, Poland, Russia, Saudi Arabia, South Africa, South Korea, Spain, Taiwan, Thailand, Turkey, the United Kingdom, and the United States. Dozens of countries are struggling to appear in this list every year. So why is energy efficiency important? On a national level it means saving important resources, increasing competitiveness and industrial productivity of the country. For people it means reducing utility costs, lower energy bills and freeing income for other expenses. Energy companies they can lower fuel costs, which then can have savings passed on to the consumers. In a world view reducing dangerous greenhouse gas emissions is good for every living creature. As you can see, effective use of energy resources really matters. Starting from the 1970s, a lot of countries have implemented energy saving policies, which of course has been an important step to saving the ecology of the planet.